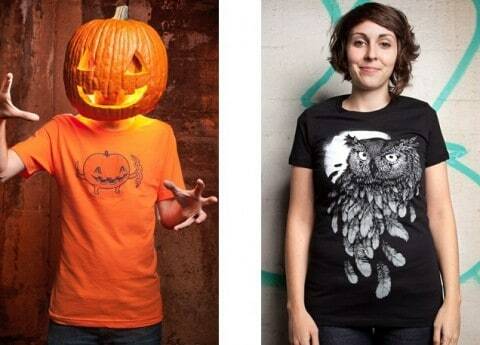 Threadless : Spooky Low Price Tees! Oh my gosh it’s almost Halloween, all the cool kids like Halloween. Especially those super cool kids at Threadless. I love the spooky designs and guess what? now you have pick up some of their awesome creepy designs for a mere $9.99! Whoo ha! Firstly, yeah I know, it’s not in the slightest bit scary but it features cats and witches have cats….so there! 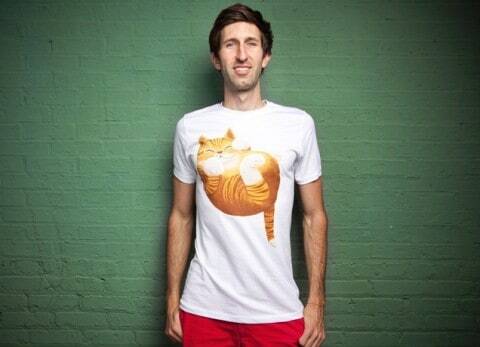 Also I think this is what my boyfriend would look like if he turned feline, chunky, happy and gingery. I kinda NEED Kit-Tee by Turbonova. All the adorableness you could ever need! Both my children are being Pirates for Halloween this year, I’m sure my son requests the same costume every year just going up a size! 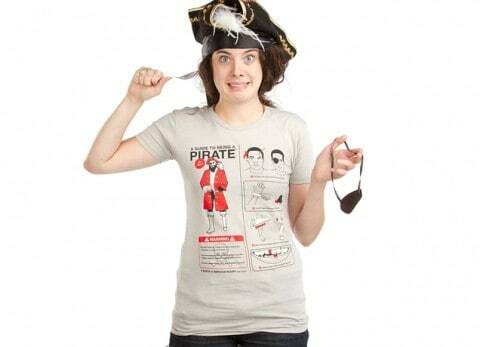 Maybe in his teens he will opt for this tee A Guide To Be a Pirate by David Soames, it’s a little bit gory but it’s a good’un! I adore owls on Threadless, every owl tee that is printed manages to bring something new to table. 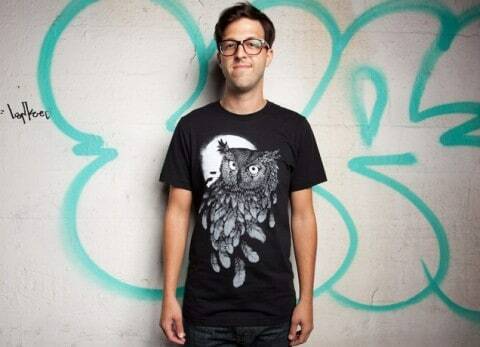 This tee is monotone but powerful and owls are everywhere this season. Vanishing in the Night by Daniel Teixeira could be an awesome way to create a his and her look on the sly! Sure I could convince my Nicholas into this! 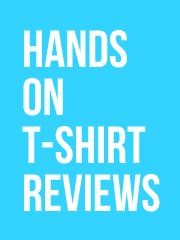 Had to blog Heart Seeker by Ben Chen, Maroon is my all time favourite colour of tee on Threadless. 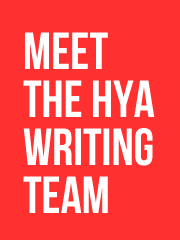 It is also bringing a very sinister thread of story to Wizard of Oz. I doubt the tin man was a psycho killer though! This tee design totally reminds me of Anya from Buffy the Vampire Slayer! I don’t trust bunnies either! 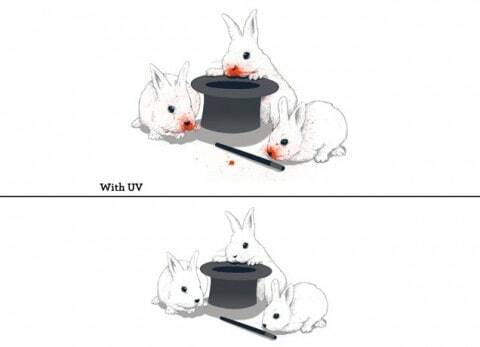 On Don’t Trust in Cute Bunnies by Matheus Lopes Castro you get blood covered baby bunnies in UV light, awww! 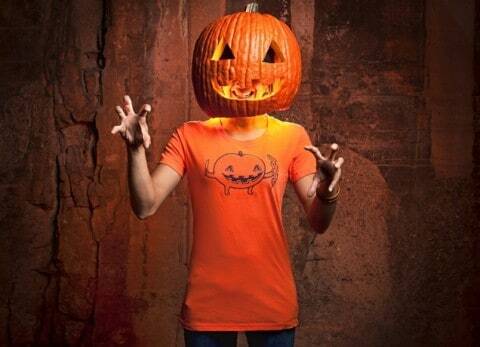 What would Halloween be without a Jack O Lantern, I don’t own a Threadless Tangerine tee and this tee is so orange that it makes me taste orange when I see it! Halloween Slice of Life by Aaron Jay is a perfect lazy boy Halloween costume that is so comfy that you can wear it all year round! 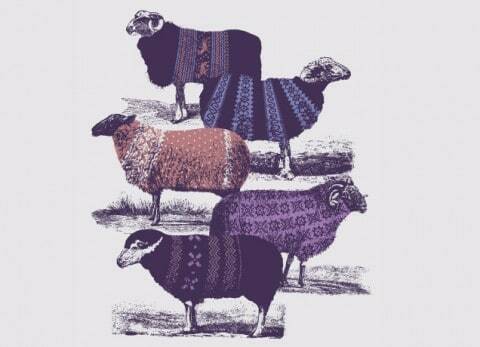 I don’t find sheep at all scary but I adore Cool Sweaters by Jacques Maes wins some serious awesome points! There is nothing that I don’t like about this design and considering all these tees are $9.99 a piece you have nothing to lose!